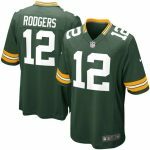 You’ve passed your unique sense of style and fashion on to your young Green Bay Packers fan. 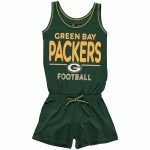 Your kiddo can continue to match your style with this awesome Green Bay Packers Helmet and Jersey Set from Franklin Sports. It features bold graphics and colors that will make this the go-to outfit on game days.